HVAC technicians are part of a fast-growing field of specialized workers. Many analysts have observed that corporate jobs are often unstable, with corporate workers being the first to go when recession hits and a company has to cut costs. However, HVAC technicians are part of an indispensible pool of professionals that are needed no matter the economic situation, thus enjoying steady pay and work. Becoming a HVAC technician and enjoying all the financial benefits that come with it starts with training. It is a requirement for any legal, licensed HVAC technician to undergo formal training at any university, career institute or training center offering this course in the state. Prospecting students may choose from these schools depending on their desired specialization. 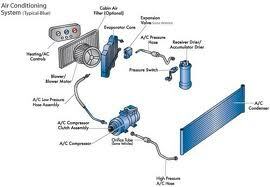 HVAC Training lasts between 1 to 2 years depending on the extensiveness of the curriculum and pacing of the student. However long the length of the program, internship will always be included in the program as it is one of the most vital parts of the HVAC training. Here, everything learned during the lecture period is put into application. Students get to experience the job as it would entail in a normal setting. 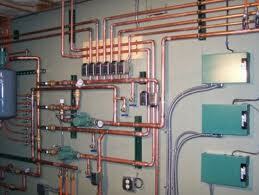 Interested students may check out the following schools in Michigan for their HVAC training. These schools offer various specializations, and will also usually help students with licensing and certification upon graduation. Oakland Community College in Michigan has three certificate degrees with various specializations and one associate degree in HVAC training. Students can choose between the four depending on their time or interested line of work. They also have great facilities, excellent faculty and top of the line work materials to aid in learning at this reputable school. This school has six HVAC degrees which students can choose from. Located in Warren with a student population of over 55,000, it is one of the best schools to go to for technical courses and training.